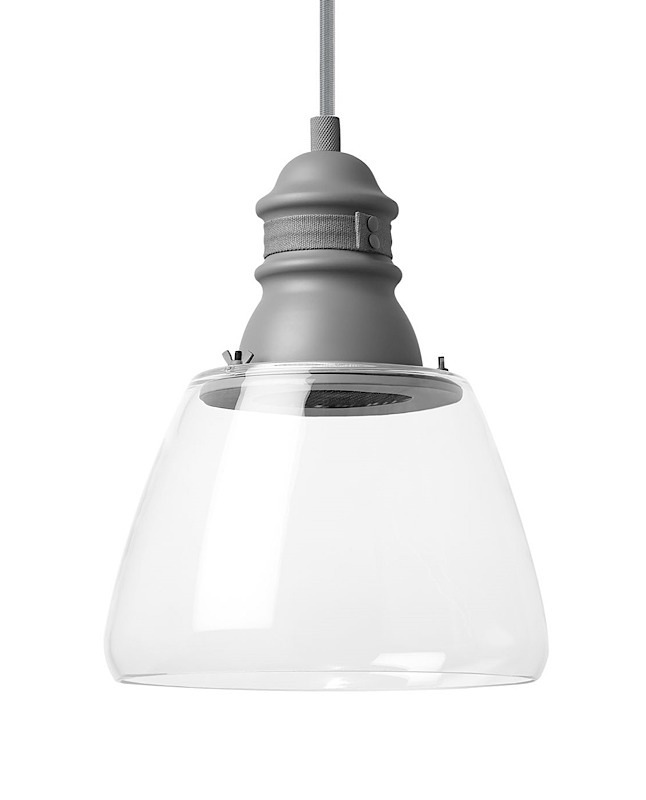 The Stratton Pendant is a unique beauty merging industrial design and modern style. A large-scale hand blown glass shade has a decorative metal housing and riveted canvas detail. Each detail in this light is not overlooked. Even the light source is hidden in the metal cap so the Italian glass can be seen uninterrupted by the light. A hexcell louver sits below the light source to eliminate glare when viewed from below. Includes 120V, 39 watt Halogen PAR 20 lamp or 15 watt, 975 net lumen, 3000K field replaceable LED module. Select grey or black hardware finish. Note, item only shown in grey finish.